Fantasy series The Shannara Chronicles, which started airing on Monday, takes Kapuso viewers into a rich and compelling world of human and elves. 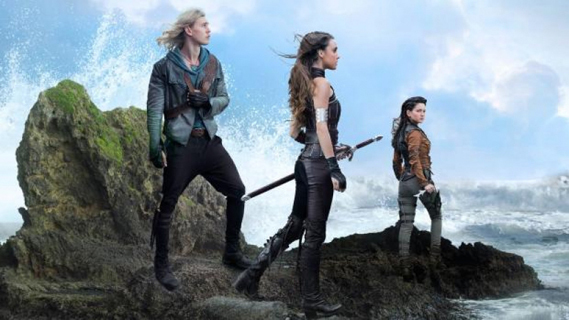 Based on the trilogy The Sword of Shannara by Terry Brooks, the American series leaves its audience in awe as it tells the stories of Amberle, Will, and Eretria, and how they brave every battle just to protect the Ellcrys. It is an ancient tree that locks in and prevents the banished demons from returning to their kingdom, Elven. Poppy Drayton plays Amberle. She is an Elven princess and the first female to be accepted as one of the Chosen, a group of elves responsible for protecting and caring for the Ellcrys tree. Austin Butler is Wil, a half human, half elf and the last descendant of the Shannara family. Ivana Baquero breathes into life Eretria, a deceitful human who later proves herself otherwise. Follow their story as they save their kingdom from destruction every morning at 8:20 on GMA-7. From enemies to partners to eventual lovers? GMA Heart of Asia presents My Sassy Girl, South Korea’s hit romantic comedy-drama about the cutest and craziest tale of two unexpected lovers. It all started when Mr. Handsome Scholar, Gyun Woo (Cha Tae-hyun), crosses paths with Sassy Princess, Hye Myung (Jun Ji Hyun), who gets herself in trouble due to her bad drinking habits. Left with no choice but to help her, Gyun Woo leads her to a hotel until she becomes sober, but gets wrongfully accused of being a pervert. Their cat-dog quarrel continues even after Gyun Woo becomes the appointed master of the Prince. But after unfortunate circumstances and an interesting twist of events, they find themselves embarking on a whirlwind adventure as they discover illegal secrets and fight their way out of the mess they are both in. Join them in their crazy kilig adventures in My Sassy Girl, Monday to Friday at 9:20 a.m. on GMA Network. Korean superstars Lee Jong-hyun and Kim So-eun are teaming up to spread love in the Philippines via their fantasy rom-com series That Man Oh Soo that is now airing on ABS-CBN TVplus’ Asianovela Channel. Lee Jong-hyun plays Oh Soo, an attractive and smart IT engineer who serves as Cupid for people looking for love using a magic pollen. Despite Oh Soo’s incredible matchmaking skills, his heart does not belong to anyone. But all this is about to change when Oh Soo meets Seo Yoo Ri (Kim So-eun), a policewoman who will capture his heart. That Man Oh Soo first premiered in South Korea in 2018 and immediately became the talk of the town because of the undeniable chemistry of its two lead actors and the romantic story. In the Philippines, the series airs on weekdays at 10:00 a.m. with same-day replays at 3:00 p.m. and 12:00 midnight. 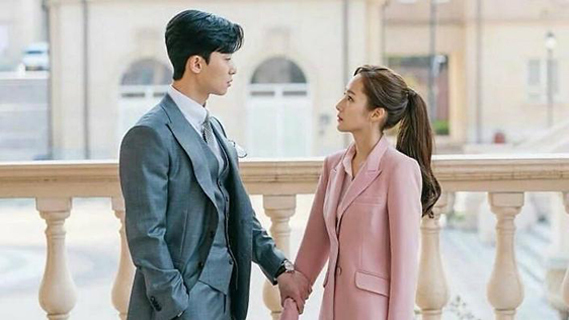 Meanwhile, Park Seo Joon and Park Min Young also made a TV comeback as their hit Korean romcom What’s Wrong with Secretary Kim airs on TVplus’ Asianovela Channel before That Man Oh Soo. More and more TVplus users are also watching programs on Asianovela Channel that is now the eighth most watched channel among DTT households based on Kantar Media’s Q4 2018 report that covers DTT households nationwide. Other programs TVplus viewers can enjoy are the medical romance drama Doctor Crush, the romance fantasy Tomorrow with You, and the iconic series Meteor Garden.